MONTEBELLO >> A man showed up at the Montebello home of his ex-girlfriend and their children, then barricaded himself inside for six hours on Friday before surrendering to a SWAT team, police said. Jose Vera, 31, was ultimately booked on suspicion of violating a restraining order, as well as an outstanding arrest warrant, according to Montebello police officials and Los Angeles County booking records. He was described as a Maywood gang member, but his city of residence was not clear. The standoff began about noon in the 100 block of North Montebello Boulevard, just north of Whittier Boulevard. Vera arrived at the home of his ex-girlfriend, with whom he has children in common, in violation of a court order to stay, Montebello police Lt. Larry Jackson said. When police arrived, Vera refused to exit the home, officials said. The woman and children got out safely, and police summoned their Special Response Team to deal with the holed-up suspect. Vera finally came out of the home and surrendered about 6 p.m. without a struggle, Jackson said. He was being held without bail pending his initial court appearance, records show. SOUTH WHITTIER >> A Montebello jail administrator accused of fatally shooting his ex-wife and wounding her boyfriend during a child custody exchange at her South Whittier home is due to appear in court this afternoon to face charges that could send him to prison for more than 75 years, officials said. Prosecutors charged Efrem Ruben Lozoya, 38, of Pico Rivera with murder and attempted murder in connection with Saturday’s 11:15 a.m. shooting at an apartment in the 13900 block of Coteau Drive, in the unincorporated county area of South Whittier, according to Los Angeles County District Attorney’s Office spokeswoman Sarah Ardalani. He entered no plea, she said. His arraignment was continued to July 18 in the Downey branch of Los Angeles County Superior Court. Lozoya is also accused of the special allegation that he personally used a gun in the crimes, causing great bodily injury. Killed was 33-year-old Nereida Villanueva, according to Los Angeles County sheriff’s and coroner’s officials. Her boyfriend was wounded. “Lozoya and his ex-wife, Nereida Villanueva, have two children together and had been divorced for several years,” Ardalani said in a written statement. The suspect showed at his ex-wife’s apartment to drop off one of their children, officials said. “Shortly after entering Villanueva’s residence, Lozoya allegedly shot his ex-wife and her boyfriend, who also was in the apartment,” Ardalani said. Lozoya then fled the scene. Deputy Ryan Rouzan of the sheriff’s Information Bureau described the children as 7 and 9 years old. They were not injured in the shooting. Lozoya, who works as a contracted jail administrator at the Montebello Police Department’s jail, turned himself in to authorities several hours later. “If convicted as charged, Lozoya faces a possible maximum sentence of 75 years to life in state prison,” Ardalani said. Lozoya was initially held in lieu of $2 million bail following his arrest. During Wednesday arraignment hearing, the judge granted a prosecution request that bail be increased to $5 million, Ardalani said. 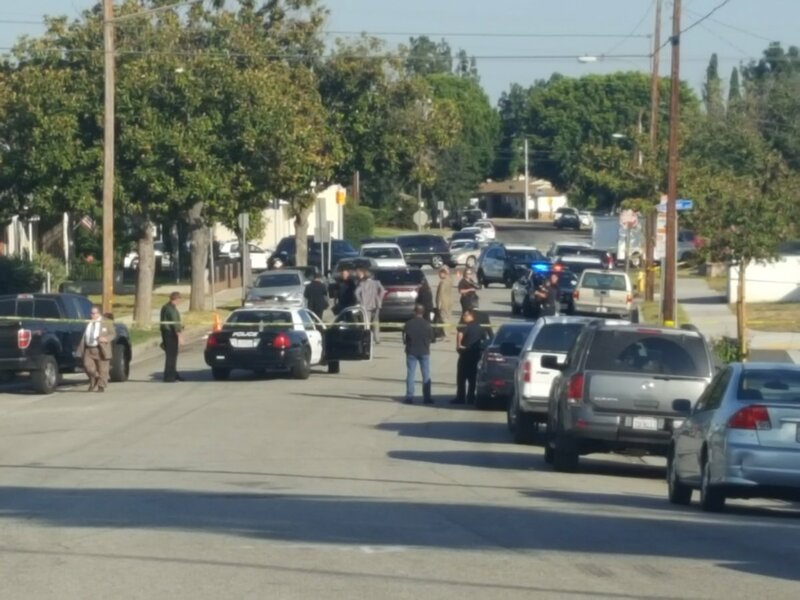 SOUTH WHITTIER >> The Montebello Police Department’s jail administrator is accused of fatally shooting the mother of his children and another man during a child custody exchange at the woman’s South Whittier home on over the weekend, authorities confirmed Sunday. Nereida Villanueva died at the scene of Saturday’s 11:15 a.m. shooting in the 13900 block of Coteau Drive in the unincorporated county area of South Whittier, Los Angeles County Department of Medical Examiner-Coroner Investigator Rudy Molano said. A man was also wounded in the shooting, sheriff’s officials said. Efrem Ruben Lozoya, 38, turned himself in at an area police station shortly after the shooting, according to Los Angeles County sheriff’s officials and booking records. He was arrested at 5 p.m. on Saturday and booked into jail just before 6 p.m. on suspicion of murder and attempted murder, according to records and sheriff’s officials. The suspect and Villanueva, who had previously been involved in a relationship, were meeting for a child custody exchange when the shooting took place, Deputy Ryan Rouzan of the sheriff’s Information Bureau said Saturday. Villanueva and a man she was with were wounded. The two children, ages 7 and 9, were not injured, officials said. It was not clear if they witnessed the shooting. Lozoya works as the jail administrator at the Montebello Police Department. Sheriff’s department spokeswoman Nicole Nishida described Lozoya as an employee of a contracted company that provides custody services for the Montebello Police Department. He is not employed directly by the police department or the city. Montebello police defrayed comment to the sheriff’s department. City officials could not be reached for comment on Sunday. Lozoya was being held in lieu of $2 million pending his initial court appearance, scheduled Monday in the Downey branch of Los Angeles County Superior Court, records show. MONTEBELLO >> A 70-year-old truck driver died early Friday after a tow truck driver accidentally ran him over with his own big rig while assisting the trucker with a mechanical problem along the 60 Freeway in Montebello early Friday, authorities said. Stephen Robert Lamb, 70, of Moreno Valley died at the scene of the incident, which took place just before 1 a.m. alongside the westbound lanes of the 60 Freeway, just east of Findley Avenue, Los Angeles County Department of Medical Examiner-Coroner Assistant Chief of Operations Ed Winter said. An autopsy is pending. He had been at the wheel of a big rig which had experienced brake problems and was being towed by a 2014 Peterbuilt heavy duty tow truck, CHP Officer I. Villareal said in a written statement. “Both the tow truck driver and the driver of the vehicle being towed exited the tow truck to check on the problem,” he said. The tow truck driver tried to fix the issue, then got back into the tow truck to move it forward and check that the problem had been corrected, according to the officer. The tow truck driver, described as a 53-year-old Los Angeles man, was unhurt, officials said. DUI was not suspected to be a factor in the apparent accident. The big rig being towed had been hauling a loaded nitrogen tank, CHP Officer Siara Lund said. Any witnesses are urged to contact the CHP’s East Los Angeles-area office at 323-980-4600. MONTEBELLO >> A 76-year-old Montebello woman died and her granddaughter suffered serious injuries Saturday in a crash along Washington Boulevard, officials said. Maria Eva Espinoza Medina died in the 1:25 p.m. collision at Washington Boulevard and 5th Street, Los Angeles County Department of Medical Examiner-Coroner Investigator Rudy Molano said. She was a rear passenger in a car being driven by her daughter, Montebello police Lt. Julio Calleros said. Medina’s 8-year-old granddaughter, who was also riding as a rear passenger, suffered significant injuries in the crash, while the woman at the wheel suffered apparently minor injuries. A man at the wheel of the other car involved in the collision was unhurt, Calleros said. The crash occurred as the car containing the women and girl was heading south on 5th Street, crossing Washington Boulevard, he said. Initial investigation indicated the car failed to yield to another car heading east on Washington Boulevard. Northbound and southbound traffic on 5th Street is regulated at the intersection by stop sign. Paramedics pronounced Medina dead at the scene, Molano said. The elderly woman and girl were not believed to have been wearing seat belts. The investigation is being carried out by the Montebello Police Department’s traffic unit. Anyone with information can reach Montebello police at 323-887-1313. MONTEBELLO >> A teenage girl remained hospitalized in critical condition on Friday, two days after she was shot by her neighbor in what was believed to be an accidental shooting at an apartment complex, police said. The suspected accidental shooting took place shorty after 4 p.m. on Wednesday in the 200 block of North 6th Street, Montebello police Lt. Larry Jackson said. Police responded to reports of a shooting and encountered a teenage girl suffering from a gunshot wound, he said. “Preliminary investigation revealed the neighbor was manipulating a firearm in his apartment,” the lieutenant said. The handgun went off, sending a bullet through the wall separating the apartments and striking the girl in the abdomen. Rescuers took the wounded teen to a hospital, where she was listed in critical condition after undergoing emergency surgery, Jackson said. The neighbor, a man, was not arrested as the investigation continued, he said. He tried to help the girl and called 911 immediately after the shooting. Once complete, detectives will turn over their findings to the Los Angeles County District Attorney’s Office for consideration of charges. MONTEBELLO >> Coroner’s officials have released the identity of a man found shot to death inside a car in a church parking lot in Montebello two weeks ago. 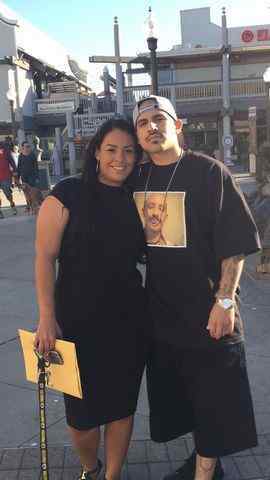 Ricardo Baltazar Mota, 33, died in the shooting, which was reported about 8:30 p.m. on March 27 in the 800 block of North Garfield Avenue, Los Angeles County Department of Medical Examiner-Coroner Investigator Kelly Yagerliner said. His city of residence was unknown. Reports of gunfire first led deputies to discover Mota mortally wounded inside a car, which had collided into another parked vehicle in the parking lot of Our Lady of the Miraculous Medal Catholic Church, according to Sgt. Marcelo Quintero of the sheriff’s Homicide Bureau. He had been shot multiple times in the upper body. It appeared Mota had either been parked in the lot, or just pulled in, when the shooting took place. The circumstances and motive in the attack remained a mystery, and no suspect description was available.